KOKOMO, Ind. – Kokomo High School girls basketball coach and Athletic Director Jason Snyder announced on March 3 that he was ending his eight-year run as the coach of the Lady Wildkats. The 2010 North Central Conference Coach of the Year said it was time to concentrate on administering the athletic department on a full-time basis – as well as spending more time with his family. In eight seasons, Snyder compiled a record of 101-68 – the third-largest win total in Lady Wildkat history. His squad won a sectional in 2008. They shared the NCC title in 2008 with Anderson and Logansport and won it outright in 2010. For the last three seasons, Kokomo has lost the sectional and conference title to Logansport – thanks in part to Miss Basketball candidate Whitney Jennings. Snyder, who is in his third year as athletic director, is a 1995 graduate of Kokomo, where he played basketball for the Wildkats. The Indiana University graduate previously was the boys varsity golf coach and an assistant boys basketball coach at Kokomo. Kokomo boys basketball coach Brian McCauley had nothing but praise for his counterpart – and former Wildkat teammate. 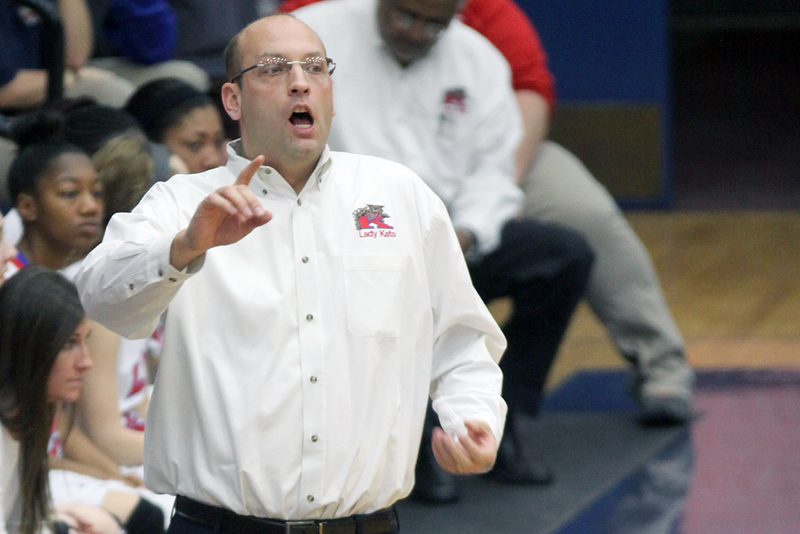 Snyder was just the fifth coach in the 39-year history of Kokomo girls basketball. He joins the short list of Sue Huggler (88-74), Mike McCroskey (227-82), Charlie Hall (172-22) and Chris Huppenthal (19-6) as former Lady Wildkat coaches. Snyder had the privilege of coaching the Lady Kats to the programs 600th win on Dec. 2, 2013. A search for the squads sixth coach will begin shortly.